Over/Under: Over 149 at 1.90 Bet Now! Both teams come into this game in very contrasting moods. The Belgrade side suffered a demoralising loss in Moscow but the team from Istanbul enjoyed a thrilling victory, at home, against the reigning Euroleague champions. The hosts will be keen to bounce back but Istanbul will be looking to march back to the Final Four again. Crvena are struggling and their heavy defeat in Moscow last week means that the team may be bruised and battered coming into this one. It’s not just the fact that they lost last week, they’ve now lost two games in a row and you don’t want to get into a habit of losing games in the Euroleague. Quincy Miller and Vladimir Stimac have been brought in and they may be able to provide some support and assistance for Maik Zirbes, who has been one of the few highlights for Crvena this campaign. A home win would go a long way to boosting morale and outlook in Belgrade this week. 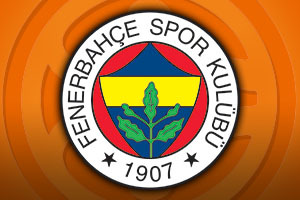 Fenerbahce head to Belgrade absolutely buzzing from their win over Real Madrid last week. The Turkish team is currently joint top of Group A but they know that they haven’t won away from home yet in this campaign, so this week presents a genuine opportunity to do so. Players like Jan Vesely, Ekpe Udoh and Pero Antic are all key players for the away team and if they hit top form, they could well in the running to grab another big win on Friday night. With Bogdan Bogdanovic showcasing a great deal of skill and talent so far this season, there is plenty of firepower up top for the team from Istanbul. 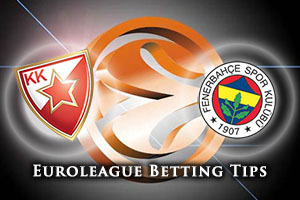 Taking Fenerbahce Istanbul at -5.5, with odds of 1.90, isn’t a bad bet for Friday night and should keep your interest right to the end of the game. Anyone that is looking to have some fun with the Over/Under market should look to go OVER 149.0 at odds of 1.90. Bet Now!